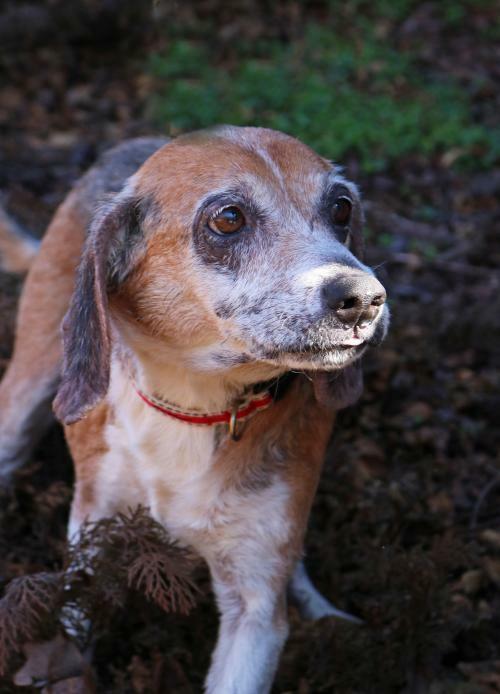 Suki is a 10 year old Beagle mix who came to us as a stray on 2/2/19.. she weighs around 28lbs. She gets along very well with other dogs. She is the absolute best dog in the world... gentle and sweet, calm and tolerant. 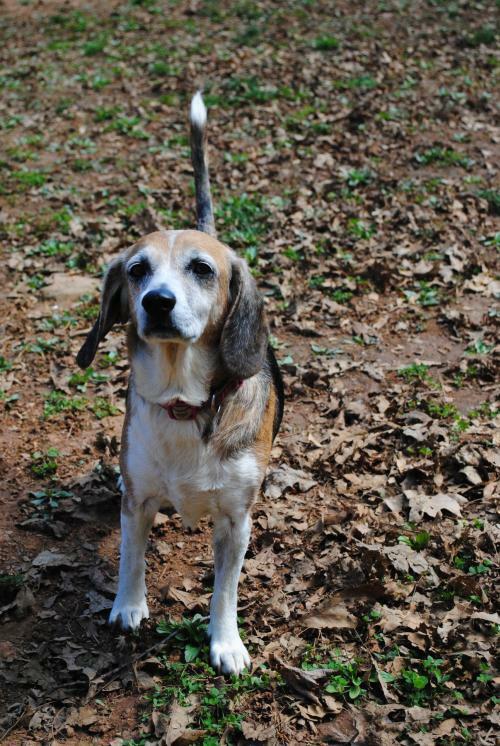 You simply must meet Suki Suki, she's as sweet as her name indicates! All of our animals have a lifetime commitment. If for any reason, the adoption does not work out, the cats and dogs are to come back to FCHS, which is a NO kill facility. The adoption fees help cover a portion of the care provided to the animals. Please visit our website under adoptable pets for a range of adoptions fees. All pets are spayed/neutered, vaccinated, heartworm tested (dogs) and placed on preventative, microchipped, and more. You can find our adoption application at https://www.plannedpethoodrockymount.com/adoptions. Applications or questions can be emailed to adoptions@plannedpethoodrockymount.com. Please email for faster response or come on by during our business hours. Please do not call, this may cause delay because we receive a high volume of calls each day and operate with a small staff. Please submit your application once you see a pet you are interested in. Adoption Center hours are Tuesday - Friday 12-6 and Saturday 11-4. 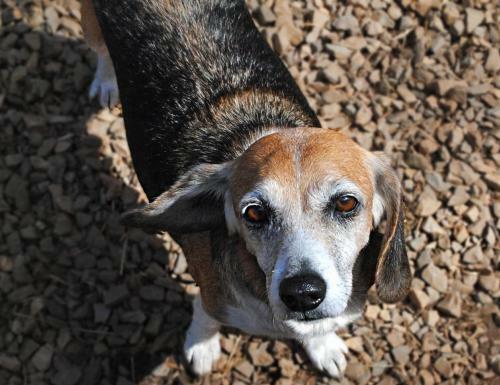 Visit her at Franklin Co. Humane Society/Planned Pethood Clinic & Adoption Center to get acquainted. Call or go to their website to familiarize yourself with what you'll need to begin the adoption process. Remember, adoption is a lifetime commitment, one full of love and reward but also financial and personal responsibility. Take the time to prepare, commit, and fall in love for a lifetime.